Home » Blog » Need a gift for a DIY-er, vintage-lover, or handyperson? Need a gift for a DIY-er, vintage-lover, or handyperson? Stop by the warehouse to pick up a Forklift gift card today! 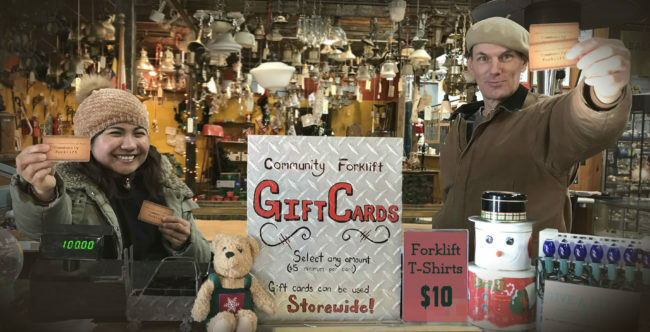 We offer Community Forklift gift cards in any amount from $5 and up. (We also have a limited number of Forklift t-shirts for sale at our front desk. We normally carry sizes small to 3X in mens and womens styles, but they’ve been selling fast and we may be out of stock in some sizes until after the holidays). Can’t get over to our warehouse? You can buy a Forklift gift card online, and we’ll mail it for you. Just make sure you do it very soon if you want it to arrive by Christmas! 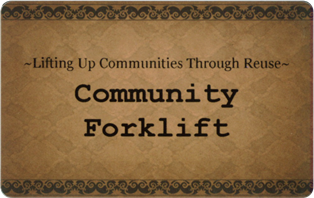 By purchasing a gift card, you’re helping Community Forklift lift up local communities. 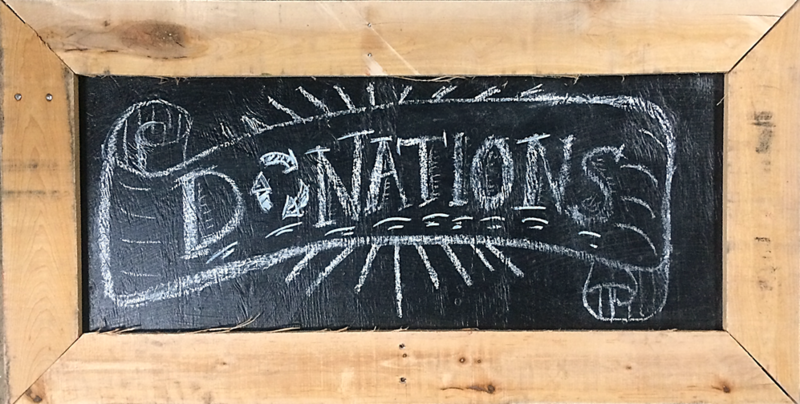 Our nonprofit turns the construction waste stream into a resource stream for communities in the DC region – keeping perfectly good items out of the landfill, preserving historical materials, providing low-cost building supplies, and creating local green jobs.